Recent laws and changes to the American healthcare system have led to some big developments in the conditions like stress levels, physical demands and environments. The job with the highest ranking is not that big a surprise when some of the most important factors are considered. With an annual median salary of $86, 960 – the third highest yealy wage on this list – and an approach that takes workers away from more stressful workplaces, like hospitals, there are a lot of obvious perks to becoming a biomedical engineer. It is, however, the predicted growth of 62% that helps put this profession on top, which is significantly higher that most other jobs highlighted here. Demand for the new and improved technology and equipment they create means enormous demand for technologically minded engineers to create them and this can only continue beyond 2014. While the term biomedical engineer may be slightly foreign, the role of the dental hygienist is much more familiar and, in many ways, a lot more appealing with its comfortable work environment, lack of workplace stress, 9-5 schedule and job security. A day of looking after people’s teeth is not for everyone but with projected growth of 38% – which some attribute to the aging population – and an average salary of $70, 210, it is not hard to see why people are turning to the dental suite. Occupational therapy – therapy with a focus on getting people back to work through specific treatments – is another underrated option that ranks highly in this list. The appeal with this role is partly down to the variety of skills and opportunities, such as working within rehabilitation, mental health or emergency rooms, and the rewards that can be achieved with a successful case. Additionally, this job has an annual median salary of $75, 400 and a projected growth of 33%. 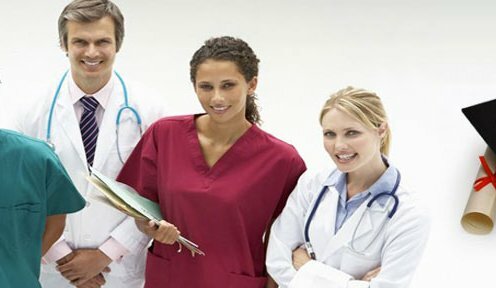 The prospects for ultrasound technicians are also bright for 2014 and this profession shares two of the same perks as the medical careers that have been mentioned so far: it offers the chance to work with a wide variety of people in rewarding settings and there is good predicted growth of 39% from now until 2022. The reason for the lower ranking is most likely due to the added stress that comes with a hospital based job like this and the lower average salary of $65, 860. Much like the dental hygienist, the optometrist gets the benefits of a comfortable office and weekly routine, only instead of dealing with an increased demand for dental care from the growing, aged population, they get to keep their vision in check. The projected growth for this career is smaller than that of the dentists, at just 33%, but the $97, 820 annual median salary adds to the perks.